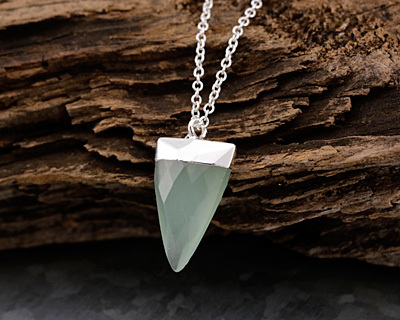 Aventurine is a form of quartz, characterized by its translucency and the presence of platy mineral inclusions that give a shimmering or glistening effect. 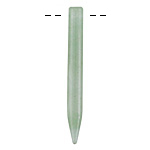 These green aventurine beads are a smooth aloe green color. 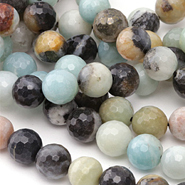 The most common color of aventurine is green, but it is also found in shades of red, orange, brown, yellow, blue and gray. 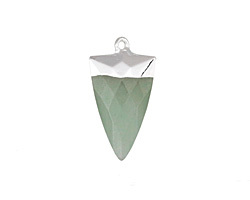 Aventurine contains mineral inclusions that give it a shimmering effect called “adventurescence”. 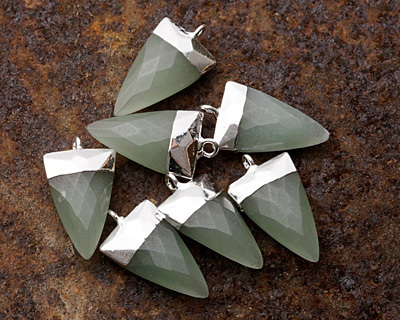 Chrome-bearing fuchsite (a variety of muscovite mica) is the classic inclusion, and gives a silvery green or blue sheen.